/After Placing my Order /How can I find my previous order? 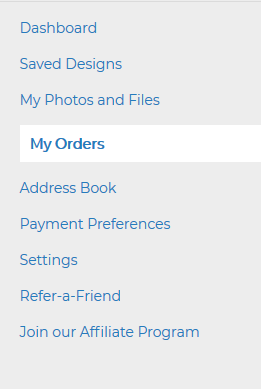 Find previous orders by logging in to your account and hovering over the Account icon at the top-right of the page and choosing “My Account” from the drop-down. This will take you to your account Dashboard. From the Dashboard, you can click on the View Full History link to view orders you’ve made in the past. You can also click on “My Orders” which is located in the toolbar on the left side of the page.